So much research has now been conducted in the field , and such a wealth of data accumulated that it is now possible to look at the patterns and trends contained within UFO reports. Along with the results of the research into a wide array of other scientific disciplines, they shed light on a universal ecosystem of which we are a part. To understand and communicate with extraterrestrials we have to understand their viewpoint which will also be universal. So to understand extraterrestrials our knowledge and viewpoint must be universal too. Gary’s presentation will also include information from his book about the war between humans and extraterrestrials and their technology that is now responsible for our civilization, and the awakening of the planetary mind. 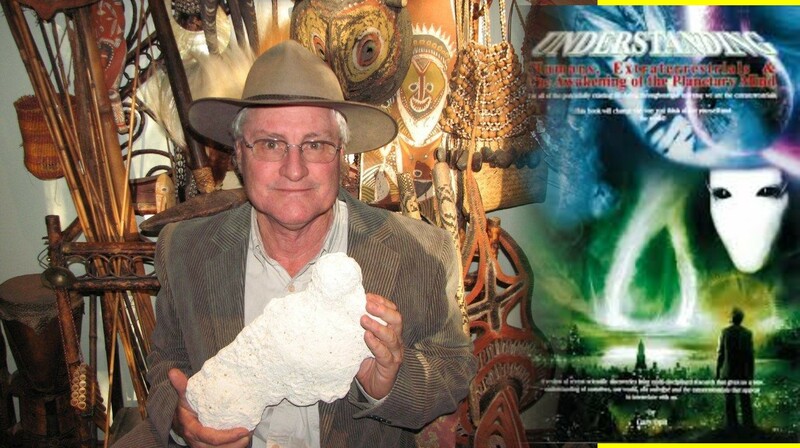 Gary Opit gave a presentation at the first UFORQ National UFO Conference (2001) entitled A Biologist’s Perspectives on Extraterrestrials and again at the third UFORQ National UFO Conference (2003) entitled, A Biological Guide to Extraterrestrials – A Classification Based on Contact Accounts, which can be read at garyopit.com. In 2008 Gary self published the book Understanding Humans & Extraterrestrials available at garyopit.com and also available at this meeting. Gary Opit lived on the Gold Coast from 1967 to 1995 and since then has lived in Byron Shire NSW. As a biologist he has conducted over 100 fauna and flora surveys & ecological assessments. He has taught high school, university and TAFE students introductory courses on microbiology, botany, zoology, ecology, anthropology, geography and cosmology. He has taught unemployed youth occupational health and safety, basic first aid, conservation and land management. For 19 years he has broadcast a weekly live-to-air wildlife identification program for ABC North Coast NSW Local Radio Station 2NR. The scientific journal Australian Zoologist is publishing his paper Citizen Science and Cryptozoology in 2016, detailing the reports received during these radio broadcasts that include large mammal species unknown to science. He was awarded the Title of “Earth Champion” by the International Athena Foundation and Byron Shire Council for his work for the understanding and the protection of the Earth’s natural environment. Venue: Kenmore Library, Kenmore Village Shopping Centre, 9 Brookfield Road, Kenmore, Brisbane. Entry via lift from undercover carpark.